Hi everyone, I hope you are all well! Today I’m chatting about a forgotten favourite of mine, and maybe of yours too. When the Rimmel Apocalips hit the shelves, I remember trying so desperately to get my hands on them. The blogging world went a little crazy for the whole liquid lipstick concept and things escalated from there! I remember reviewing these bad boys a good while a go and being so excited by them. These lipsticks were so different from anything I’d ever tried before. A lipstick that applies like a lip gloss – I was amazed! 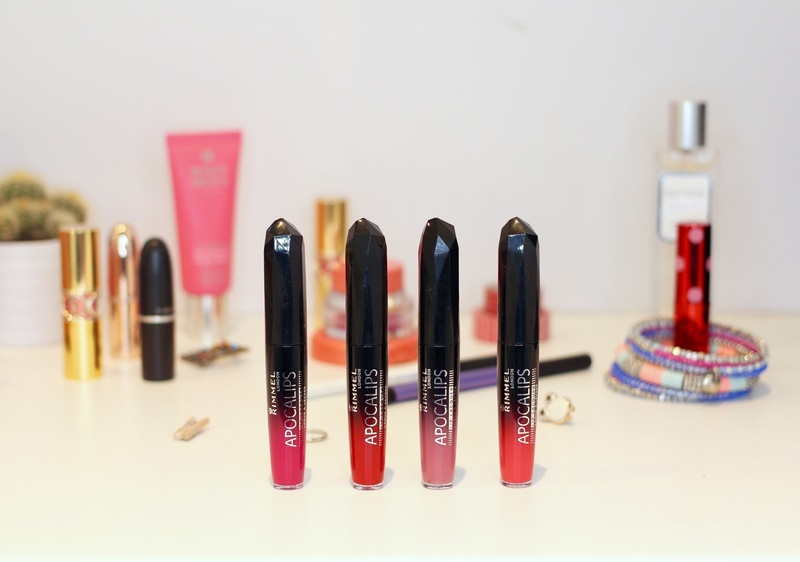 Soon after this liquid lipsticks took the beauty world by storm and now, brands like Anastasia Beverly Hills and Stila are favourites in the market. Most of the liquid formed beauties come in matte form and pack a great amount of pigment but these Rimmel offerings are a little different. The Apocalips are a glossy finish which is something I think is totally underrated. I personally prefer a finish like this as its much less drying on the lips, and if you really want to matte them down its nothing a tissue and some blotting powder can’t fix. I think Rimmel do offer a matte version of these but I’m yet to try them – for me the original Apocalips will always be a favourite! Do you have a beauty product you love but you’ve forgotten about? Rimmel Apocalips are available from Boots.